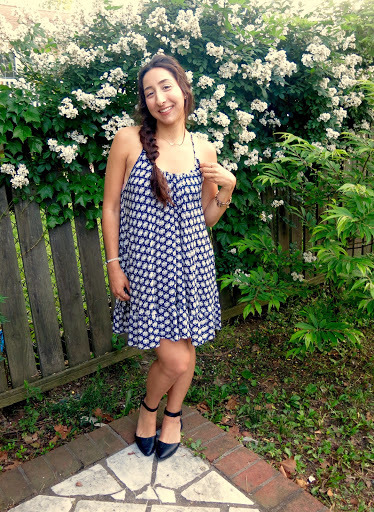 I have been obsessed with this little blue dress from H&M lately. I’ve worn it too many times since I bought it, I think I may need to give it a break! It has just been my go-to. 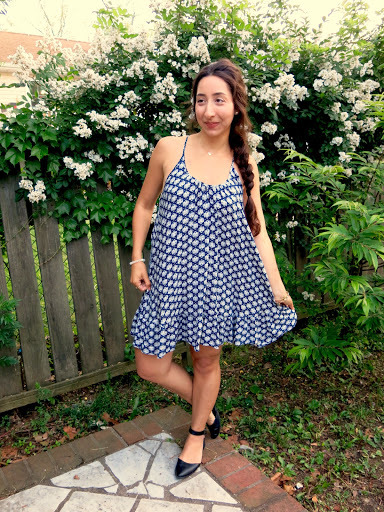 It’s so flowy, summery, and comfortable; it’s the perfect summer dress. Also, I have a weakness for anything blue and white, too… that color combo reminds me of Greece! My shoes are from Forever 21 and have also been a go-to. They’re surprisingly comfortable and since they’re black they go with pretty much anything. 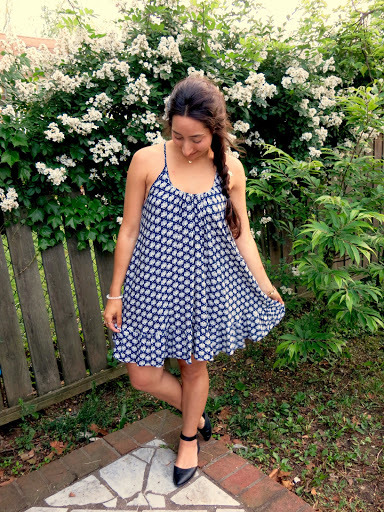 They go with a casual outfit or with a cute little dress like this! 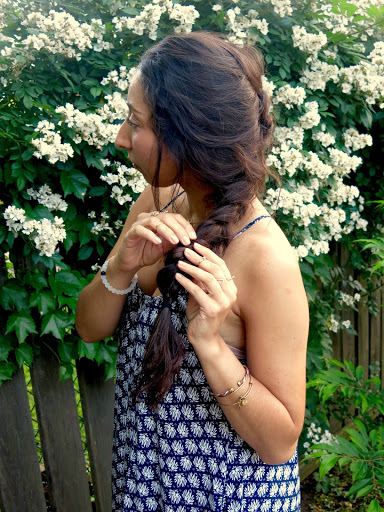 As you can probably tell from previous posts, I’ve been really into braids lately, especially since it’s been so warm out. 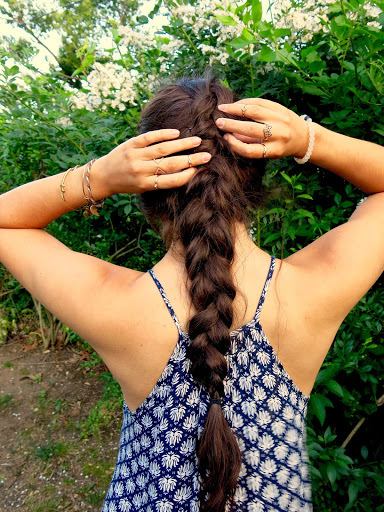 There’s so many different types of braids, so many different styles to do with them, and they keep your hair out of your face, which is great when it’s hot and humid out. 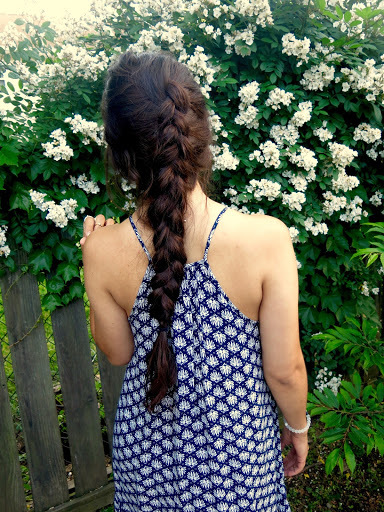 If you’d like to see a braid tutorial, leave me a comment below!